One of the nicest benefits of attending a writers’ workshop is getting to meet and work with other authors. The Writers’ Loop enjoys introducing our readers to several of the talented artists we met during the Break Out Novel Intensive workshop that we attended in April. This week, I’m delighted to present author and illustrator, Fred Koehler, a bona fide funny bone tickler. 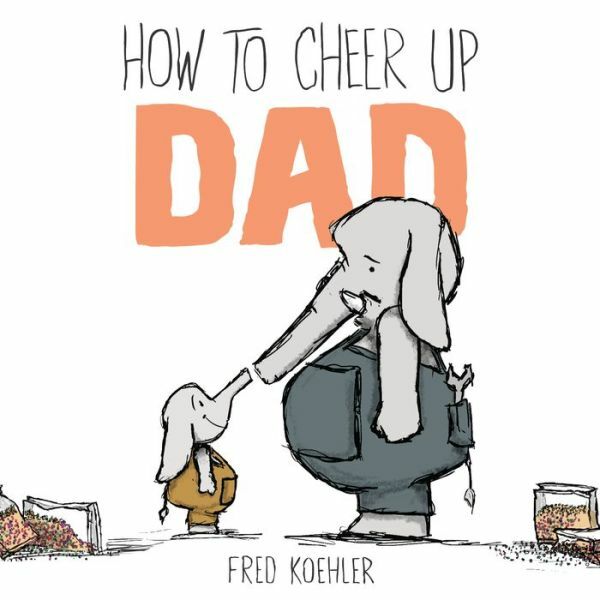 Fred’s book, How to Cheer Up Dad, as well as his heartwarming website, can promptly turn frowns upside-down and cause onslaughts of chuckles. In fact, this book would make a great Father’s Day gift, particularly for new dads. And no, we don’t get a percentage, here at the blog. It’s my sincere recommendation. Is there going to be a sequel or series about Jumbo? My son did not do everything in How to Cheer Up Dad. I actually did a lot of those things to my dad. But my son Jack and I have very similar personalities, so I expect that he’ll get into a lot of the same kind of mischief that I got into when I was a kid. Will all your books be inspired by your life? So far, the answer is yes! I love stories that remind us of how great it is when we get along with our friends and families. I love stories that remind us to be cheerful and thankful and to play nicely with others. 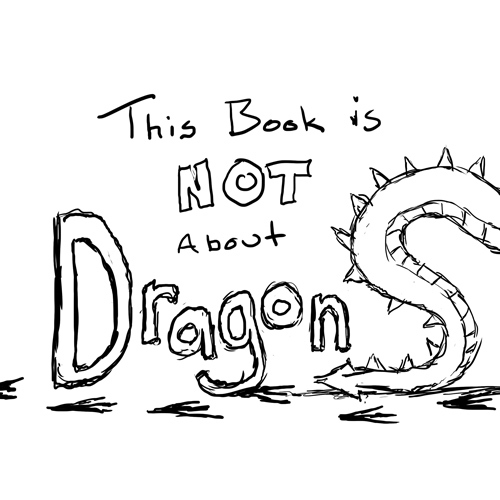 However, I am illustrating a book right now about dragons. And although I’ve never actually met a dragon, I would very much like to. How does it feel to have your book published? It’s an incredible feeling! It does take a very long time and you do have to work quite hard to learn all about the publishing industry. But, just like gymnastics or playing a musical instrument or math, the more you practice the better you get. And I just practiced until I got pretty good at it. I’m so happy you asked that question! I am working on a chapter book right now! It’s about a mouse and a shrew (do you know what a shrew is?) who get lost at sea on a boat made out of an old milk jug. But they’re very clever animals and are going to have an incredible adventure together. I hope that one day this book will get published. I think that being a writer or an artist or a musician or even a scientist or an athlete is something that you can’t help. I tried NOT to be a writer. But no matter how hard I tried, I still found myself writing. I hope you all find something that you love to do so much that you do it without even thinking about it. 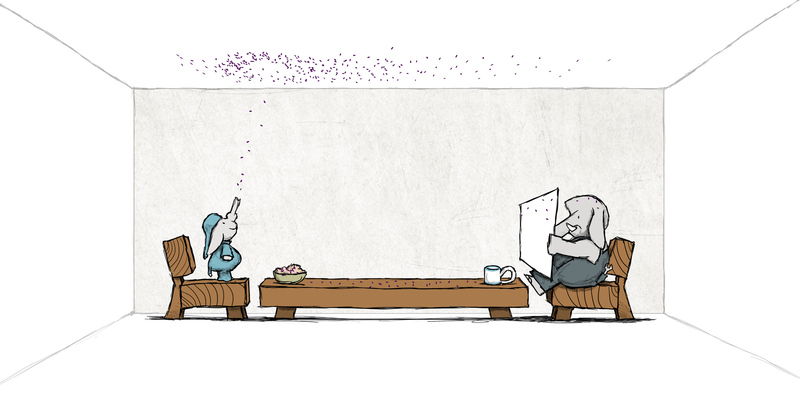 Why did you choose an elephant for the main character? Little Jumbo started off as a doodle in my sketchbook. My son and I were having a hard time getting along one morning at the coffee shop. I was trying to draw pictures and all he wanted to do was get my attention. To get my attention, he knocked over salt and pepper shakers, spilled his drink, and tried to climb up me as if I was ladder. When I got home, I had the doodle in my sketchbook that became the cover of the book! The Writers’ Loop would like to thank and congratulate the 4th graders of Mrs. Lycett’s class for their most engaging and relevant questions! “Holy cow! I have lots and lots of projects in the works. 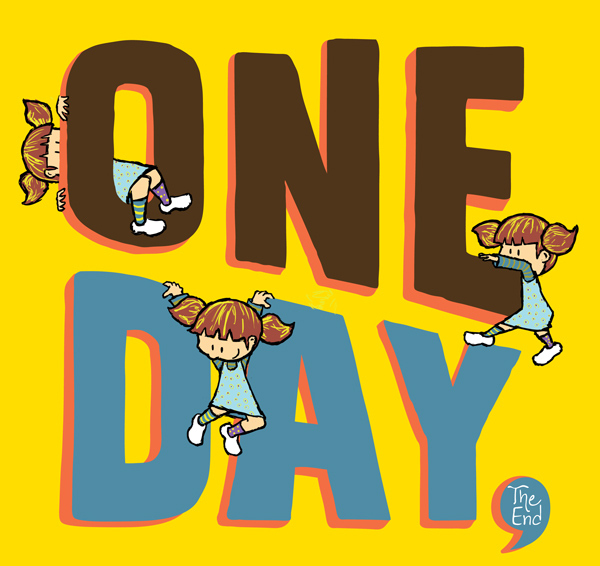 I got to illustrate a wonderful picture book titled ONE DAY, THE END by Rebecca Kai Dotlich that comes out in October this year. It’s a super-fun title that teaches kids about telling and writing stories. It’s already getting great reviews and lots of buzz. 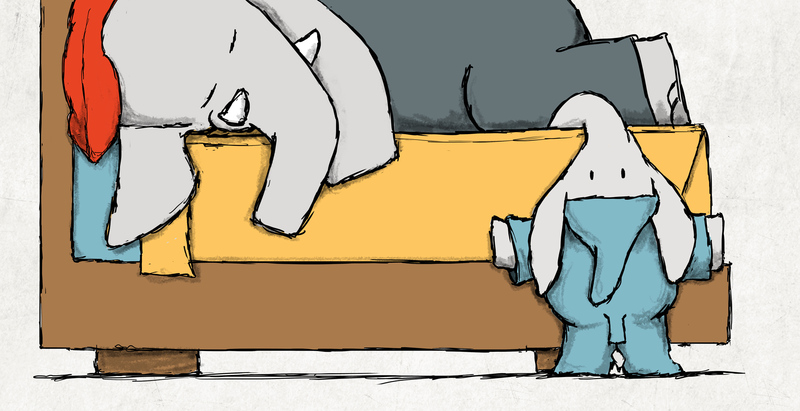 And then, in Spring 2016, Little Jumbo gets his sequel in SUPER JUMBO. 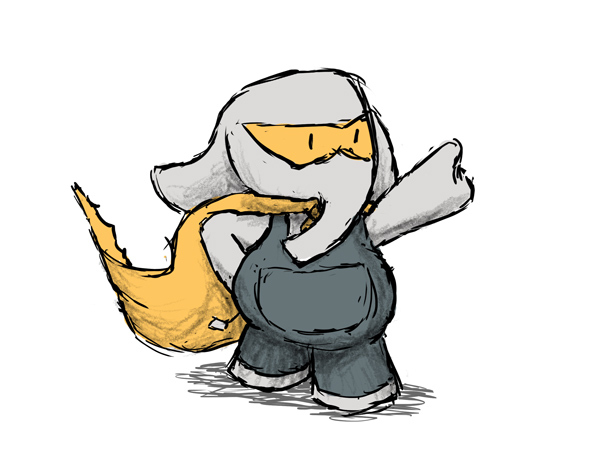 It’s another romp of a tale, filled with Little Jumbo’s oversized antics and citywide mayhem as our elephant’s alter ego does his best to be a hero. What a wonderfully happy predicament for any writer or illustrator to have—publishers who won’t let you call it quits! Congratulations, Fred Koehler! Thank you for being our guest this week, and for permission to post some of your fantastic work here. To visit Fred’s amusing website for more information, go to: http://freddiek.com/ Enjoy! Categories: Uncategorized | Tags: authors, children's books, Fred Koehler, humor, illustrators, Mrs. Lycett's 4th Graders, Orlando Florida, publishing, Waterbridge Elementary | Permalink. what a brilliant video, loved it, and have to tell you I am going to buy it for my dad who is 83 years young.